“…test and approve what God’s will is-his good, pleasing and perfect will”, Romans 12:2 (NIV). 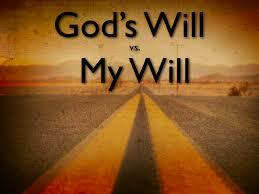 If you were to choose between the two: having your wish or doing God’s will, what would you choose? This entry was posted in All Devos, Blessings, Christian Living and tagged approve, chose, conflict, God's Will, my wish. This entry was posted in All Devos, Blessings and tagged Blessings, blessings from the Lord, God at work, Miracle, providence, Wisdom. This entry was posted in All Devos, Blessings and tagged Blessings. This entry was posted in All Devos, Blessings, Christian Living and tagged Blessings, Christian Living.